But then in Korea I noticed many girls using a warmer brown color, and I started looking for the 'perfect' one for myself. I tried quite a few, I think almost all brands have their own version, but Missha's M liner somehow captivated me when I first swatched it. Plus, the colors of the packaging reflect the color of the liner itself, you'll see what I mean! It's a brush-tip (as the title suggests). The brush is quite firm, so you have a good deal of control, but it's flexible enough to play around with angles and thickness. And it produces an opaque line from the first swipe, but if you want to deepen the color - layer it. 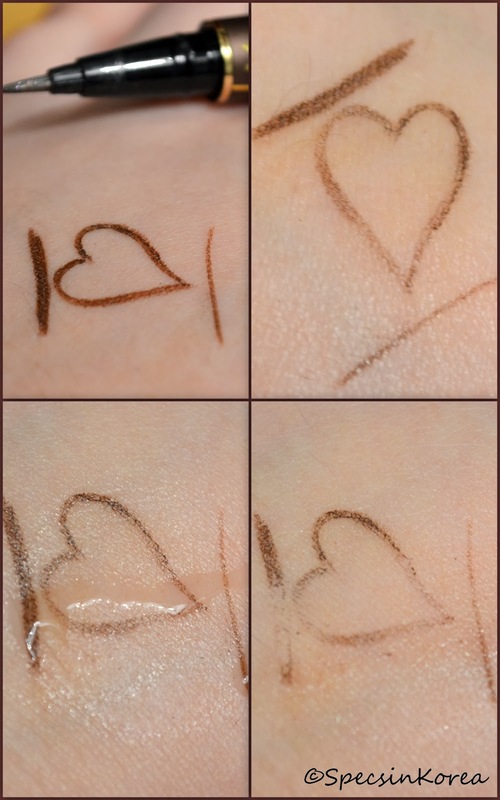 This isn't a waterproof liner, but it is very durable - the second picture shows wear after a LOT of rubbing! It just fades, no flaking at all. Finally, it doesn't run with water, but if you rub it while wet, it will come off. That could be the only downside to this, but I haven't had troubles with wear time so far. 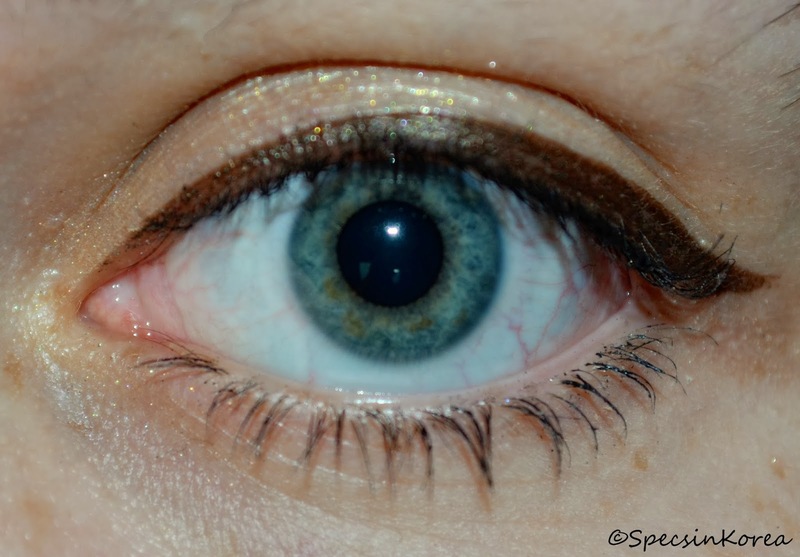 Here you can see it on my eye - I adore the color, it's a kind of chocolate-golden brown (like the packaging, told you!) Warm, not too dark, perfect for an everyday look. I feel like it compliments my eyes beautifully and defines them, without being too harsh. What you see here is a good 10 hours of wear + a nap (lack of sleep, gloomy weather..don't judge me)! Line is still smooth, hasn't rubbed off and looks quite newly applied. It's only faded near the tear duct. To sum up - if you would like a beautiful liner to use on an everyday basis, try this! To my mind, it's an excellent choice for those who are just starting with makeup or aren't fans of extensive routines - it's easy to use and makes the eyes pop beautifully. Also, with its chic packaging, this would make a wonderful stocking filler for the makeup enthusiast! If you're convinced, you can grab yours here on Ebay (not affiliated with the seller, simply the best price available). It is a little on the expensive side, with 14.99$ on Ebay. The RRP is 11,900₩ in Korea, but Missha is often on sale, right now it's 50%! 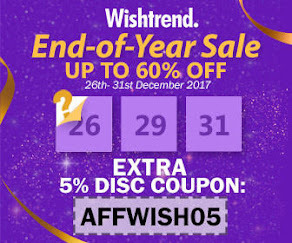 And if you're in the USA, misshaus.com has this for 9.60$ right now, as part of their Winter sale (originally 16.00$). I would say this is definitely worth the money. That's it for now! This turned out a little bit longer than a minute :) but I hope you enjoyed it! Have you tried this liner? Liked it, not your cup of tea? Comment bellow! Have a wonderful day/evening and don't forget to stay warm!